We all want to be pretty, skinny, and rich. Tahj Mowry. Member? U member!!! 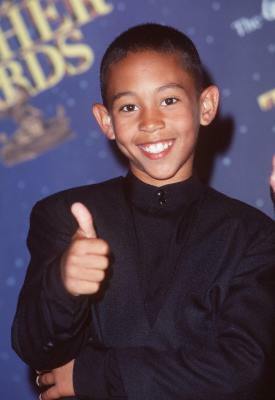 Tia & Tamera's little brother? He starred in that adorable show on (Disney was it?) TV called Smart Guy in the 90s? He seemed so adorable and likable! Well, not so much anymore. 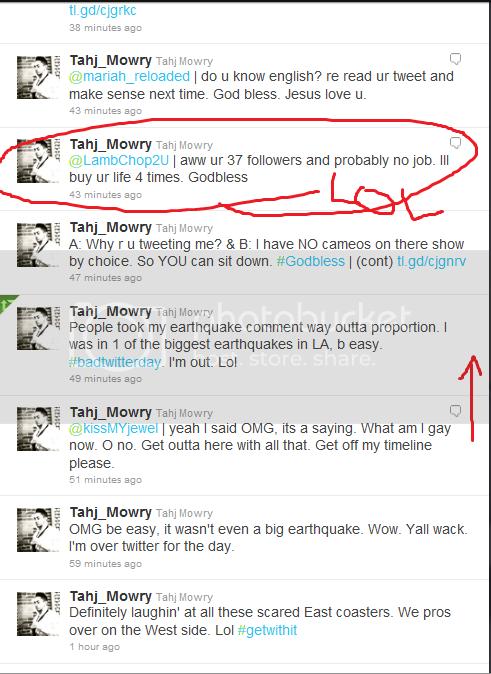 He had some very choice words to say about people on twitter today following the Eastcoast Earthquake. Wow, buying people's life 4 times? With what money? Were you not in like 1 hit show and like 4 movies tho....???? 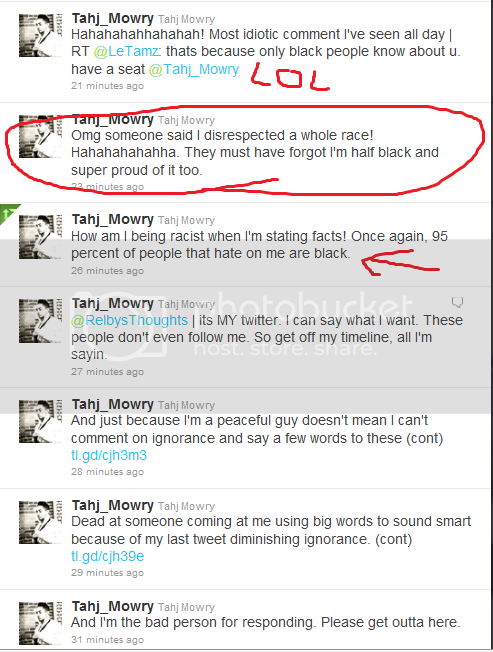 awwww I like Tahj he is awesome and he does have a right to an opinion,I love his new music, haters gonna hate no matter what we do in life.. Some dark skinned, non mixed Black people ARE jealous of light skinned/mixed race Black people. As a multi-racial Black woman with light skin I grew up being hated by dark skinned girls even though I was a nice quiet girl. Even the ones that were my "friends" in College. Dark girls who didn't even know me had something against me even though I never did a thing wrong to them. And they always claimed they weren't jealous. They hated me just because or they didn't know why but there was just something about me. NO! There was just something about THEM and their piss poor self esteem. I'm over dark skinned people who hate themselves being mad at ME for being what I am. I'm 20% African, 20% Chaldean, 20% Native-American and 40% Asian. I LOVE my mixed race heritage and nobody else is going to make me hate myself because they hate themselves. Dark skinned people need to learn to love themselves and stop taking their aggression out on us light skinned people. We're not the source of your issues. Satan is so try blaming him for a change. 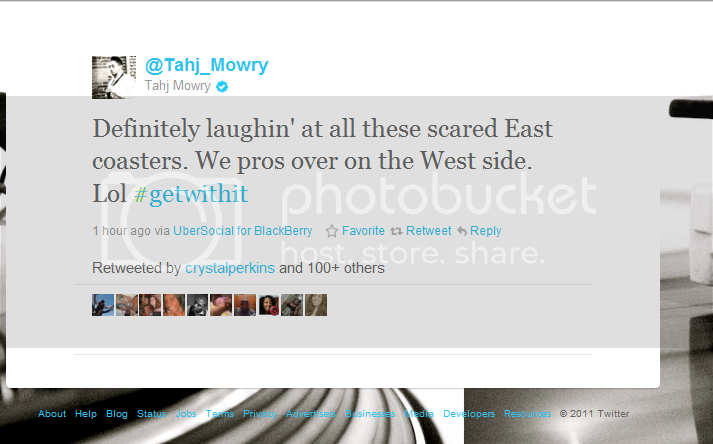 I get exactly where Tahj is coming from. Some people wanna be what you are but want YOU to HATE being what you are because they hate themselves. I love being me. I'm who and what God wants me be and very proud of my heritage. And I love my brothers and sisters of every color. He shouldn't have insulted them back, but I do understand his annoyance over non-mixed Blacks hating on him for being mixed. That's not right. It's envy and it's blind ignorance at it's best. Am I the only one that laughed while reading this? And I'm black too. Just know, no matter what happens, I'll always love you Tahj Mowry!😍 I just can't imagine him sayin things like that. That's probably why I found it funny. xoxo, Emmy... was created by a girl named Emmy in New York City. © pretty-BELLA 2012. Powered by Blogger.